IRVINE, Calif. - Pasternack, a leading provider of RF, microwave and millimeter wave products, has launched a new series of handheld, RF analyzer, rugged, phase-stable cable assemblies. Typical applications include field testing, tower measurements, base station analyzers, handheld network analyzers, portable spectrum analyzers, distance-to-fault measurements and site maintenance. Pasternack’s new line of test cables for handheld RF analyzers consists of 19 models designed to deliver optimal amplitude and phase stability with flexure. They boast VSWR as low as 1.2:1 and maximum operating frequency of 27 GHz, depending on the configuration. These rugged test cables feature crush resistance of 1200 psi and operating temperature range of -55°C to +105°C. They are made with silver-plated copper cable conductors, stainless steel-body connectors, a UV-resistant jacket and a rugged, multi-layer armor for crush and torque resistance. 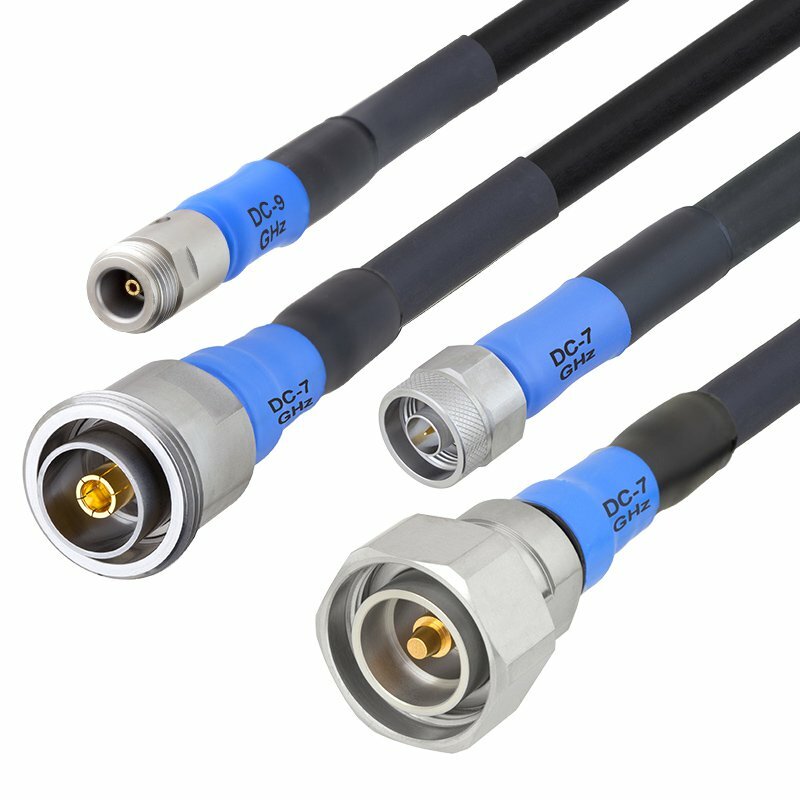 These cables are offered with 7/16, N, SMA, TNC or 3.5mm connector options and each serialized assembly includes test data. They can be used as replacement cables for FieldFox®, Site Master, CellAdvisor® and Sitehawk® handheld analyzers. “Our new family of test cables is a must-have for tower technicians and field maintenance personnel. With 19 different configurations, we offer more off-the-shelf connector and length combinations than any other RF component supplier. Additionally we stock these cables to make sure our customers’ projects stay on schedule,” said Dan Birch, Product Manager at Pasternack. Pasternack’s handheld, RF analyzer, rugged, phase-stable cable assemblies are in stock and ready for immediate shipment with no minimum order quantity. For detailed information on these products, please visit https://www.pasternack.com/pages/RF-Microwave-and-Millimeter-Wave-Products/handheld-rf-analyzer-rugged-phase-stable-cable-assemblies.html. For inquiries, Pasternack can be contacted at +1-949-261-1920.